I've been putting off reviewing this book for a long time because I just don't have a lot to say about it. 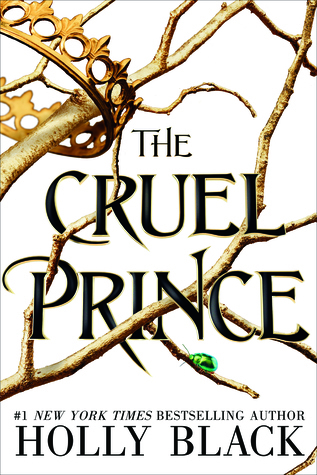 I don't know if it's the fact that it was SO HYPED, or maybe I'm just not a huge fan of HBs faeries, but I thought The Cruel Prince was . . . fine. It was ok. I was mildly entertained. But I just didn't feel the LOVE that so many others described. I wasn't compelled to pick up the book at every possible moment. I absolutely adore her Curseworkers series, and The Coldest Girl in Coldtown was freaking awesome! But I didn't even finish The Darkest Part of the Forest, and her Tithe series is decent, but I didn't find it amazing. 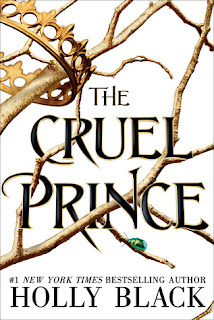 The Cruel Prince is still definitely good, and worth the read, for sure, but maybe just don't go into it with ALL THE EXPECTATIONS. Of course, given all the other reviews, maybe you'll be fine. I really enjoyed Jude's character. I liked how strong-willed she is, and how hard she works to master her life that has turned upside down. The contrast between her and her sister is great, and I found myself so frustrated by the way basically everyone behaved. But what can you expect in Faerie? Cardan will be a very difficult love interest (if that's where it goes) to get on board with because I'm SUPER picky when it comes to toxic relationships, and this has poison written all over it. But stranger things have happened. The story line was a little slow, in my opinion. Not much happens throughout most of the book, until the end, which is, admittedly, pretty awesome. This world is brutal, and the characters are cruel, but that's to be expected when faeries are involved. I love that Jude learns how to use her human-ness to her advantage, while also using tricks she's learned being raised in this harsh world. I'm excited to see where this story goes. I hope with book 2 I can join the hordes of flailing fans across the book world. Until then . . . we wait.